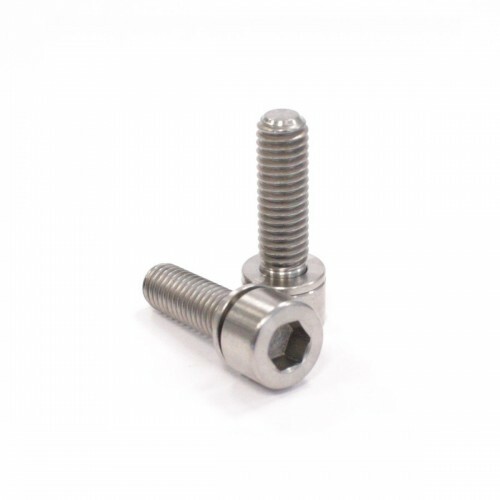 Titanium Screw M5x25 and nut for clamping of collar.Weight: Stock = 9 gr / Ti = 4 gr. 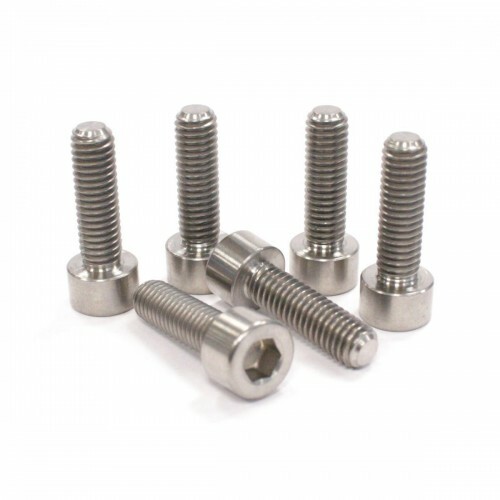 Pack of 5 fixing titanium screws for pad and cable brake caliper. 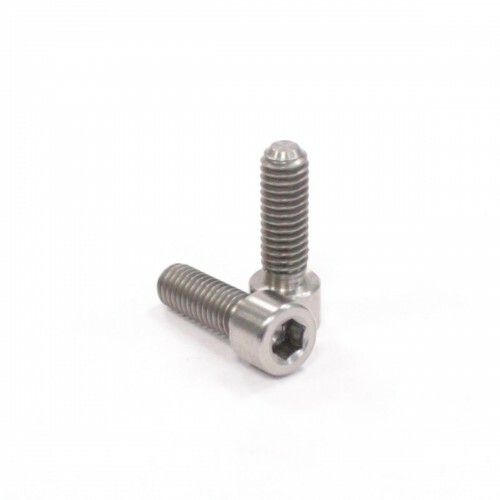 Pack of 2 titanium screws for brake pins. 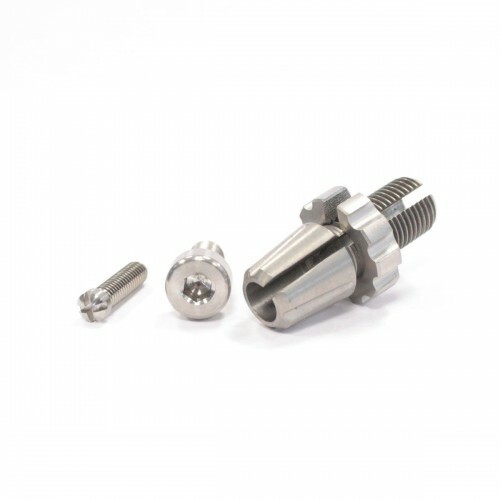 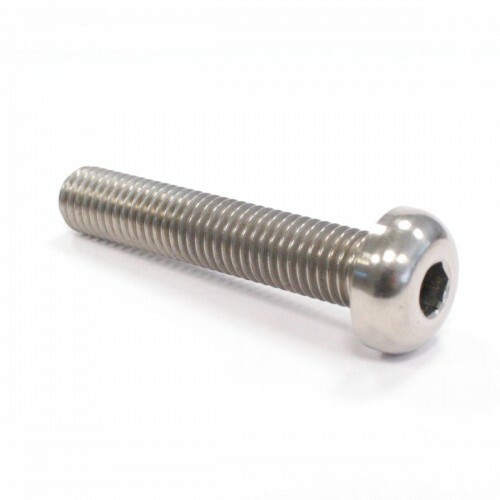 Pack of 2 titanium set screws M6x40x1.0 for chain tensionners.Compatible with KINGSTAR, INSIGHT and POSITION ONE (1 bolt). 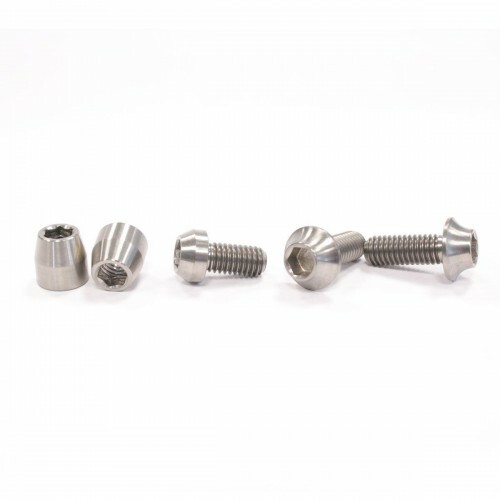 Pack of 4 titanium screws M3.5x12x0.6 for lock-on double handles. 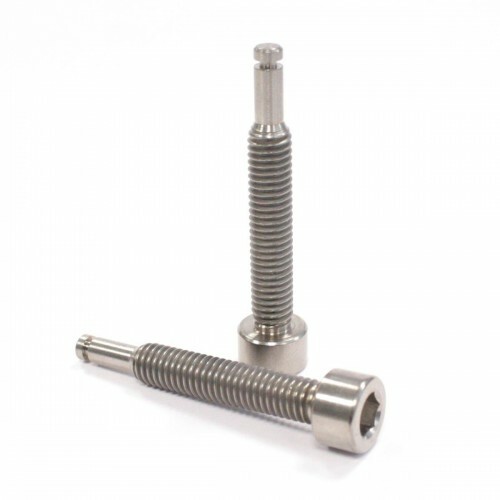 Pack of 2 titanium screws M4x12x0.7.For one-lock handles (ODI Elite series and AG1 only). 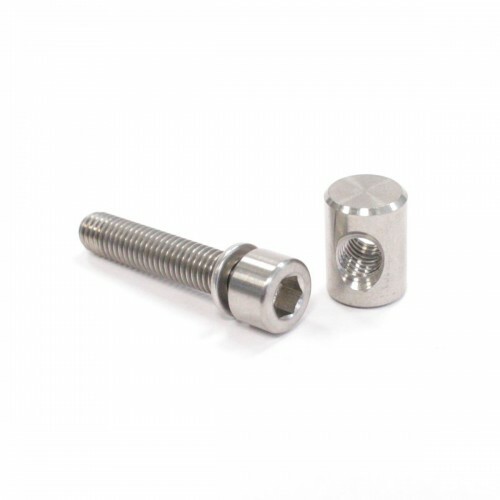 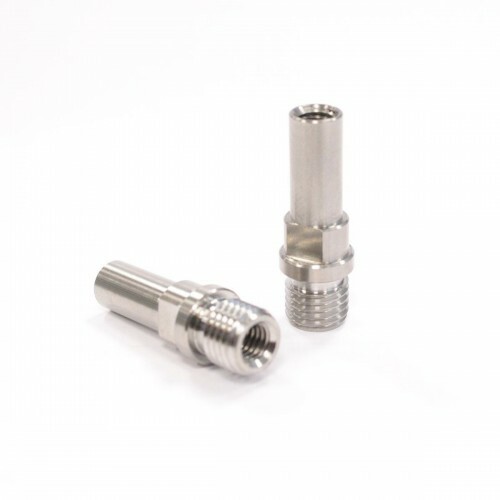 ELEVN TITANIUM STEM BOLTS 1"
ELEVN TITANIUM STEM BOLTS 1-1/8"
Titanium spoke.Available from 182mm to 244mm.Sold individually. 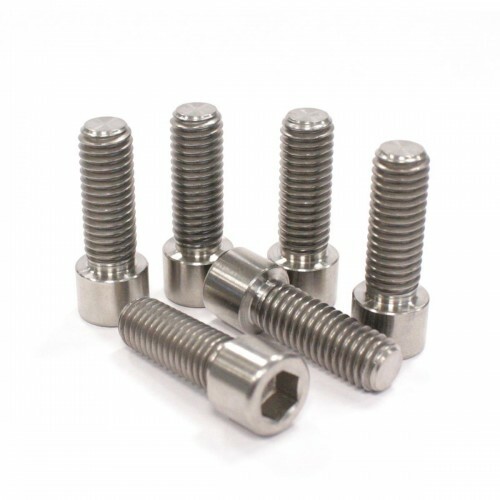 These replacement stem bolts are designed for use with the Two Center Clamp S Stem (formerly known as Hollow Mini). 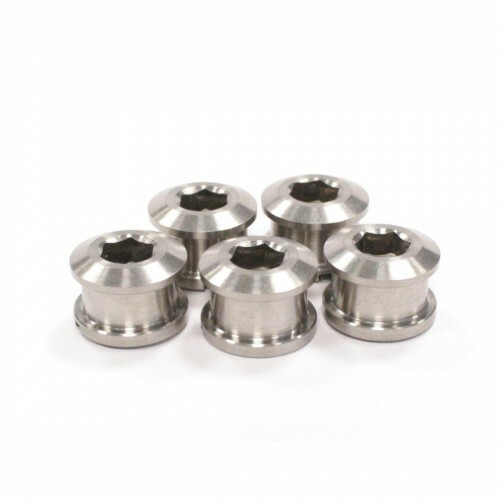 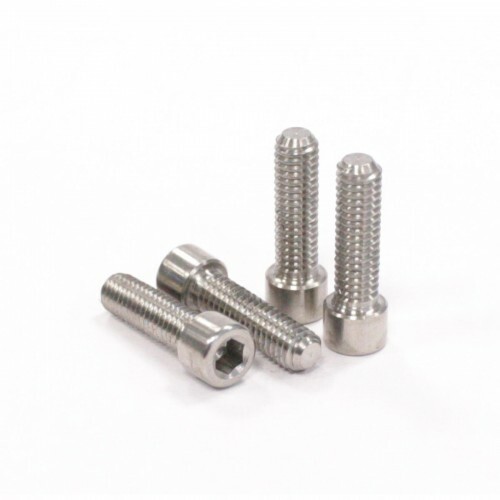 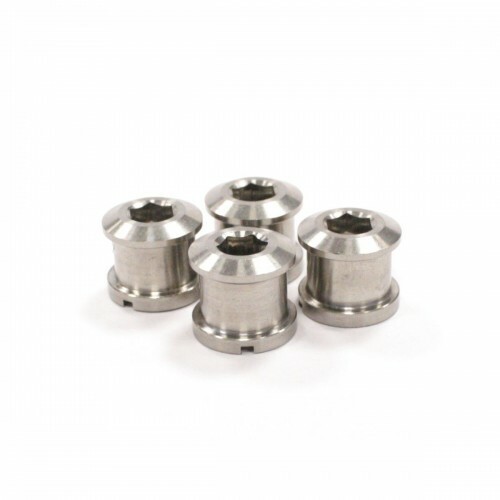 Each package includes four bolts and a packet of Finish Line™ Ti Prep Anti Seize.M6 x 20mm.